Though in theory a secular democracy, the ruling government have frequently given into pressure from Islamist parties, and continue to prosecute atheists and others on malicious charges for “insult to religion” and related crimes. Section 295A of the penal code states that any person who has “deliberate” or malicious” intent to “hurt religious sentiments” can be imprisoned and this has been used in practice to prosecute and imprison atheist and secularist activists. Various forms of artistic expression by freethinkers— including blogs, books and films—have been banned or censored. Communal violence and political dysfunction remain significant problems in Bangladesh. In 2013, several atheist and freethought bloggers were the victims of physical assaults, as well as government prosecutions for blasphemy crimes in all but name, with one critic of Islam murdered by machete (see below). 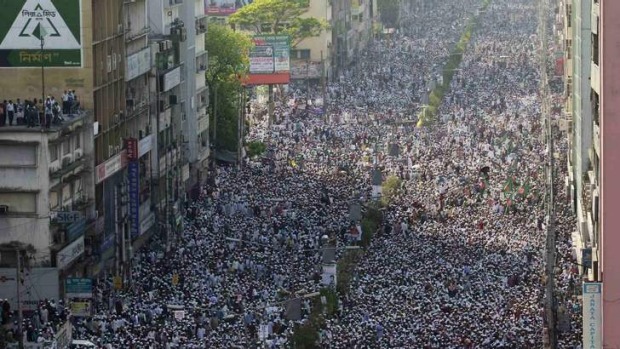 In 2013, after tensions of the predominantly secular Shahbag protests and the trial of Jamaat-e-Islami leaders for war crimes, an estimated 100,000 Islamists took to the streets of Dhaka calling for “death to the atheist bloggers”. Jamaat called for a new “blasphemy law” with a death penalty. The prime minister Sheikh Hasina said that no such law was necessary, but only because existing laws against “insult to religion” were “enough” to prosecute the bloggers. The Islamist protesters demanded the arrests of 84 bloggers. The government acquiesced, saying it would investigate all those listed. Four “atheist bloggers” were arrested and prosecuted (see below). 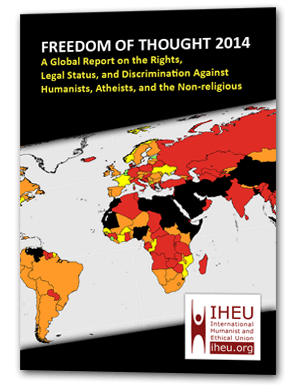 In August 2013, following the unrest by Islamist groups against “atheist bloggers”, Bangladesh Government amended the Information and Communication (ICT) Act, further criminalizing defamation of religion, creating a de facto “blasphemy” law. Any statement published or transmitted by any person if found to cause to hurt or may hurt religious belief, then that person will be regarded as committed an offence. The troubling amendment was created by presidential decree, bypassing any discussion in parliament. The amendment gives police unchecked power against the offender allowing police to act as jury and judge, all at the same time. In 2014, allegations of “hurting religious sentiment” continued to rise. On 8 November 2014, in Lalpur village in Ashuganga district, a number of temples were destroyed by a Muslim mob following an allegation that a Hindu person had defamed Muhammad on Facebook. Abuse of the “Blasphemy” law to attack minority population is frequent, often in connection with content reportedly posted on social media. In 2015 three men known for their writing on humanist, atheist and secularist topics were murdered in little over three months in Bangladesh. Avijit Roy was murdered on 27 February 2015 after attending the international book fair at Dhaka University. His wife Bonya Rafida Ahmed was also hit in the machete attack. Roy was a multiply pushed author on science, a blogger of great humanism, a proponent of secularism and a critic of Islamist fundamentalism. Fellow Mukto-Mona blogger Washiqur Rahman was killed just a month later on 30 March 2015, also by machete attack in the street. This was followed on 12 May 2015 by the murder of Ananta Bijoy Das, again in almost identical circumstances, this time on streets close to his hime. All three 2015 murders (see BBC coverage on all three attacks) targeting “atheist bloggers” have been linked to the Islamist “hit lists” produced in 2013 in response to the Shahbag protests. Avijit Roy, Washiqur Rahman and Ananta Bijoy Das were not the first to be targeted. 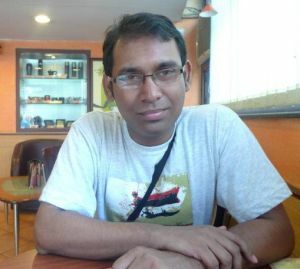 In February, 2013, the atheist blogger Ahmed Rajib Haide (aka Thaba Baba), was murdered in a machete attack at his home. His head was hacked open with a machete the day after he took part in the Shahbag movement, a major rally against leaders of the country’s largest Islamic party. He was associated with secularist views in line with Shahbag. The month before Ahmed Rajib Haide was killed, Islamist militants had attempted to murder another atheist blogger, Asif Mohiuddin. Mohiuddin survived that attack, thanks to emergency surgery, only to be arrested on April 3, 2013, and charged with “offending Islam and its Prophet”. At the same time, three other secularist bloggers—Subrata Adhikari Shuvo, Mashiur Rahman Biplob, and Rasel Parvez—were arrested on similar charges. The arrests all came after Islamists gave the government a list of 84 bloggers they wanted charged and if possible sentenced to death (though the punishment does not exist). The blogs of all four secularists were shut down by the government. All four bloggers spent significant stretches in jail and on trial throughout 2013 and 2014. Former minister Latif Siddqui was jailed in November 2014 after surrendering to police on a case filed by an opposition political party for “hurting religious sentiments”. He is facing 22 different cases on 18 different counts, all for the same offence of allegedly making anti-Hajj remarks at a discussion in New York in September. He has been expelled from the ruling party and a writ has been filed to vacate his seat. On January 4, 2012, the principal of a technical college, Yunus Ali, was arrested for keeping a copy of Taslima Nasrin’s book Shame in the school library. The book tells the story of a Hindu family persecuted in Bangladesh. It was deemed blasphemous and banned by the Bangladeshi government in 1993 and Dr. Nasrin was forced to flee abroad to escape blasphemy charges and death threats. On March 21, 2012, the Dhaka High Court ordered five Facebook pages and a website to be shut down after Dhaka University professors claimed the pages contained remarks and cartoons about the Prophet Muhammad, the Holy Qu’ran, Jesus, Buddha, and the Hindu Gods that insulted religious sentiments. On 31 March 2014, teenaged bloggers Kazi Mahbubur Rahman Raihan and Ullash Das were sent to jail for Facebook comments supposedly “insulting” to Islam and Prophet. This was only after they had been attacked and beaten by a mob. Fellow bloggers allege that an Islamist student organization distributed false propaganda material which rallied the mob against the two bloggers and led to their arrest. The feminist author and atheist activist Taslima Nasrin remains in exile from Bangladesh because of the threat of death or government persecution should she return to her homeland. Taslima’s application for a passport has never been answered. Bangladesh Embassies across the globe have taken a non-cooperation stance in relation to Nasrin. Her recent request to attain a Power of Attorney document by embassy officials were denied.